Hello and welcome back! Here we are again ready for another wonderful update of the Swifts! 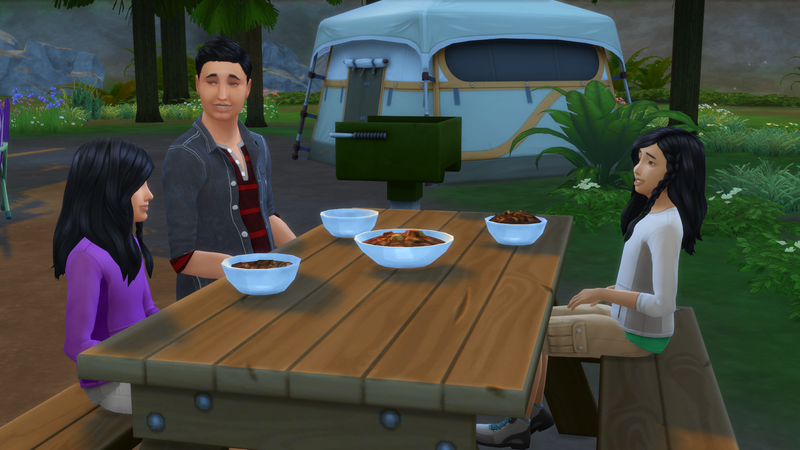 Last time the twins became children and we took our first trip into Granite Falls! Got a great start on that aspiration of ours! 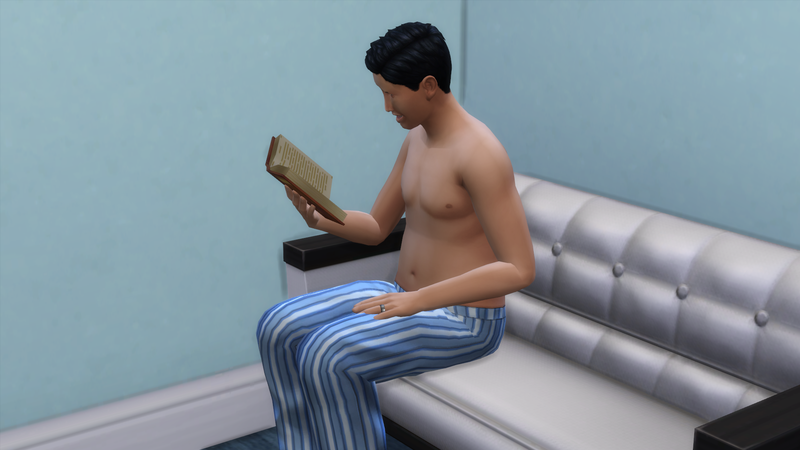 So let’s begin this chapter with Elias reading some herbalism books. 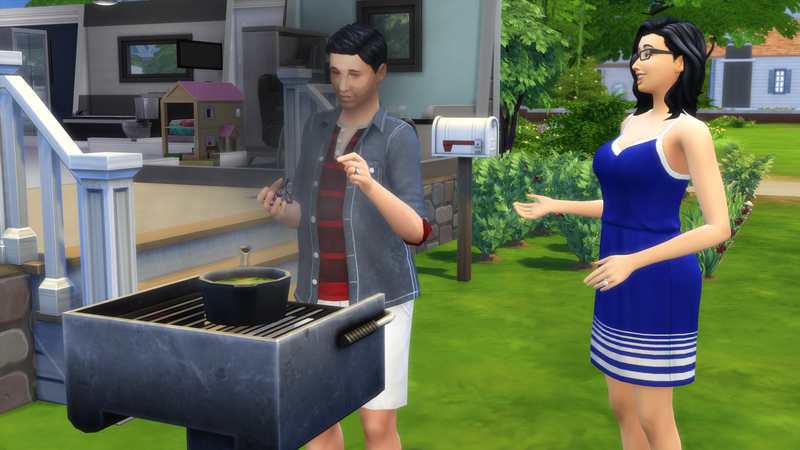 I bet you can’t spot the new stuff on the house! Okay maybe you can a little bit. 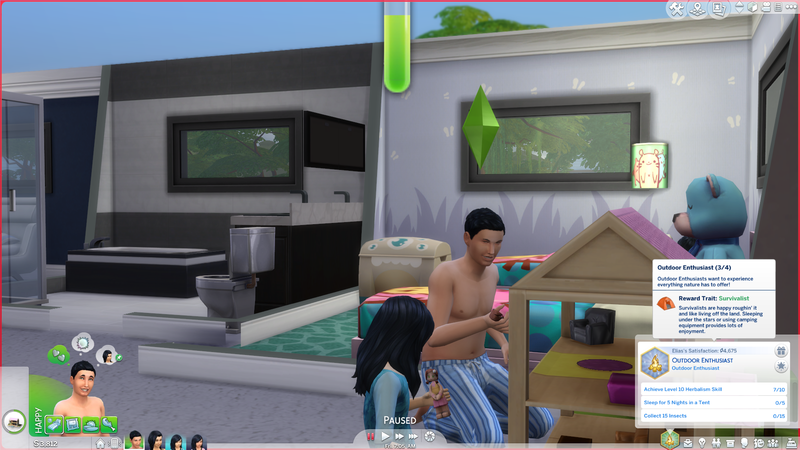 But for the record, we got more modern doors, got a grill for herbal remedy stuff, added a roof finally, and added windows through out the whole house! So our house value is now $41,403! 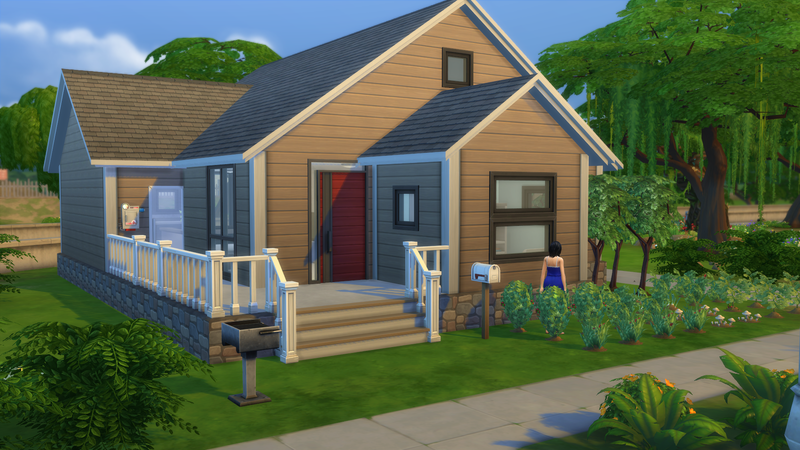 So we’ve officially hit one of the goals for this house! 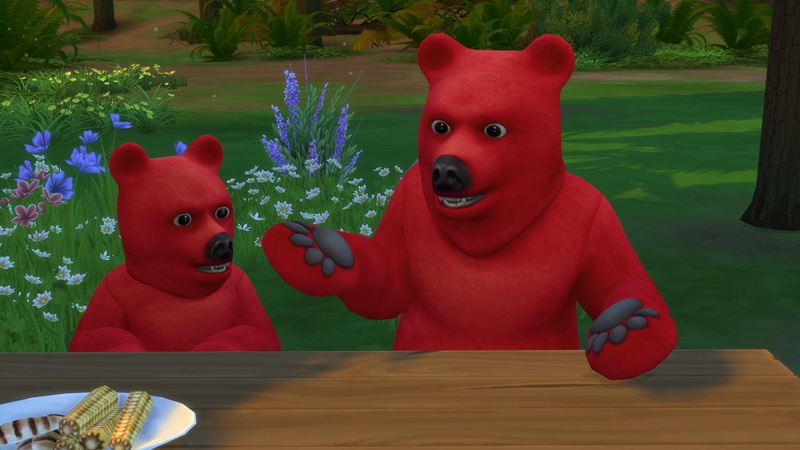 Now we just have to get Elias to finish this aspiration. So we’re going to spend a lot of time at this grill working on the skill (rhymez for dayz). 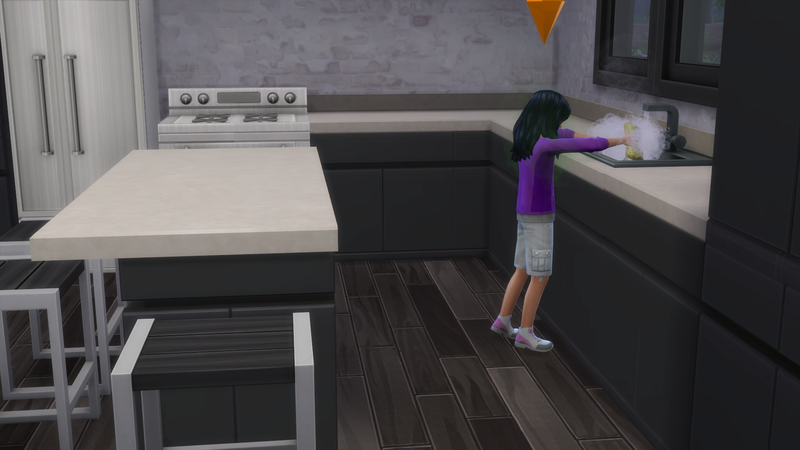 Olivia is being a good helper around the house. And notice the new kitchen island that we built! Who’s this you’re asking? Well this is Jordyn! You know, Elias’ other sister that Aaron and Siobhan had after we moved out. She’s a little cutie! I finally felt that his skill was high enough to identify all the wild plants that we gathered on our last trip so that’s what we’re doing here. And he successfully identified all of them, so check that box off the to do list! So we’re almost there! This is going a lot smoother then I anticipated… Since I never have done this one, I was a little nervous. 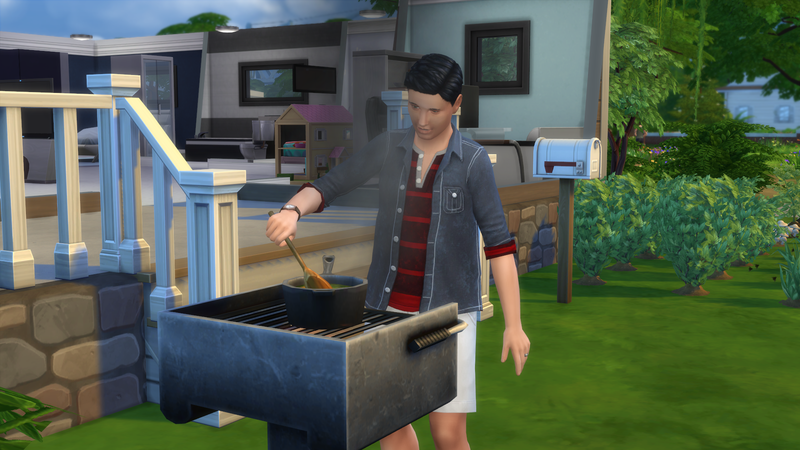 I want to use up all his current ingredients before we head back out, so for now we’ll stick around the house. 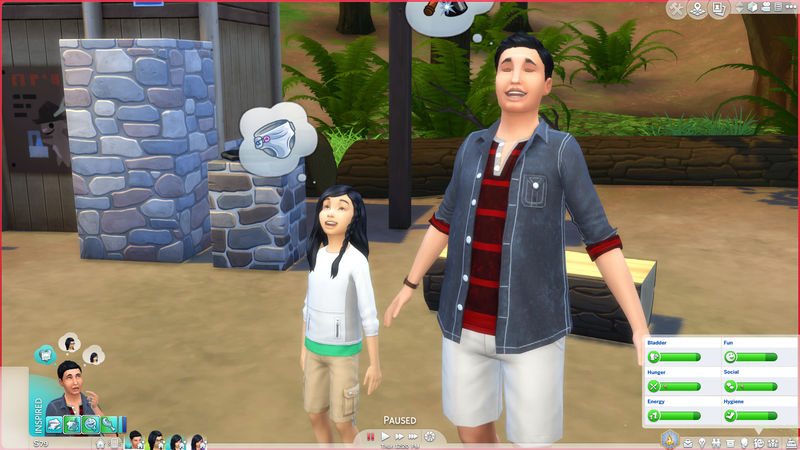 I’m not gonna lie… After playing my ISBI where things are crazy ridiculous and my 100 baby challenge where there are kids out the wazoo, the Swifts are…… kinda boring… But in a good way! It’s so nice an refreshing to not have babies and toddlers crying all the time or uncontrollable family members constantly passing out or wetting themselves. I’m in heaven right now. 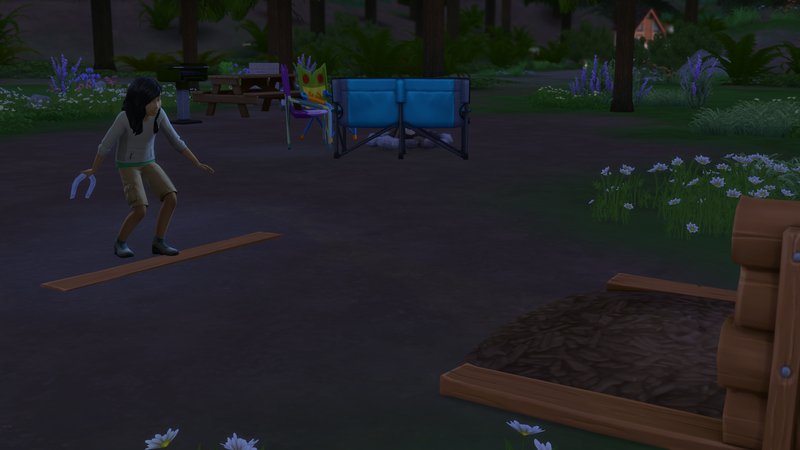 Elias used all his ingredients and the twins are back from school, so it’s time to head back to our campsite at Granite Falls! Eliza: I miss running water!! I gotta pee! 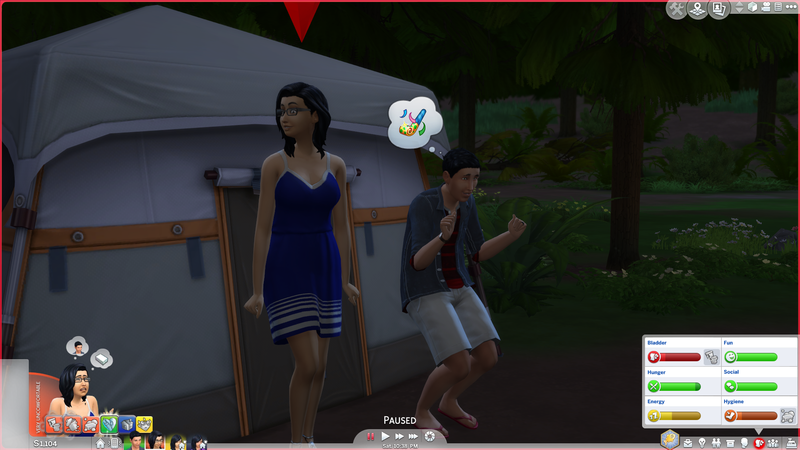 Oh the joys of camping! 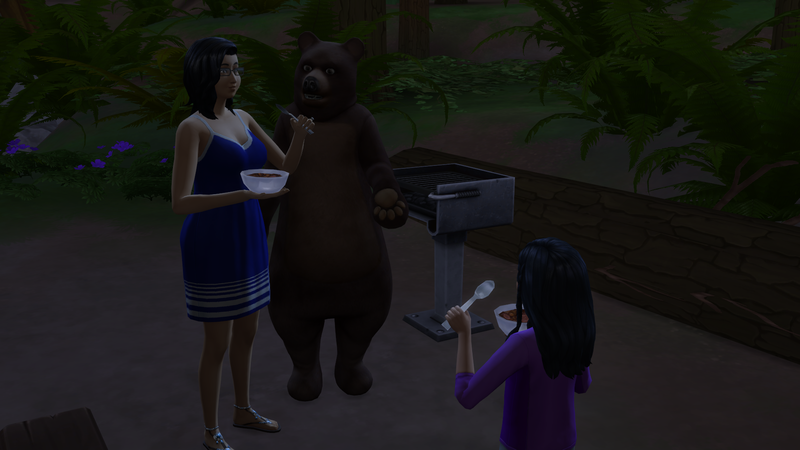 Family breakfast! Minus Saya. No idea where she’s at. Uhhhh… Hi. As you can see, Eliza is going through a phase. Lovely. 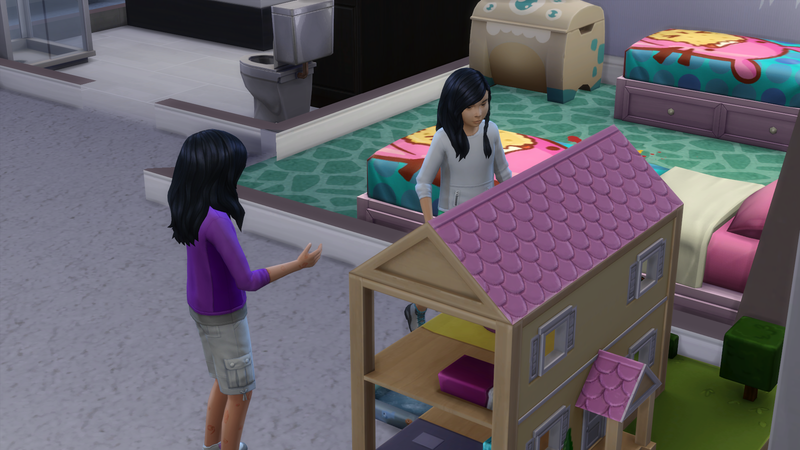 Saya and Olivia are always off doing their own thing, but Eliza tends to stick to dad. 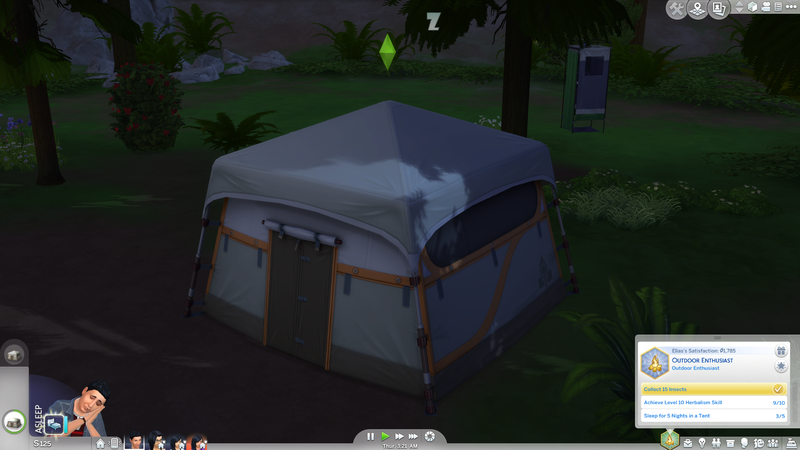 The tent is right behind her here and that is currently where Elias is sleeping per his aspiration. 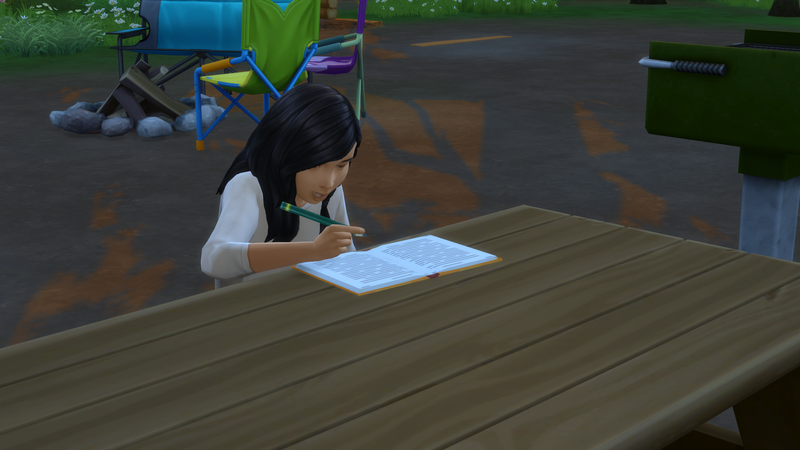 Good girl Eliza is doing her homework while on vacation. Gold star! 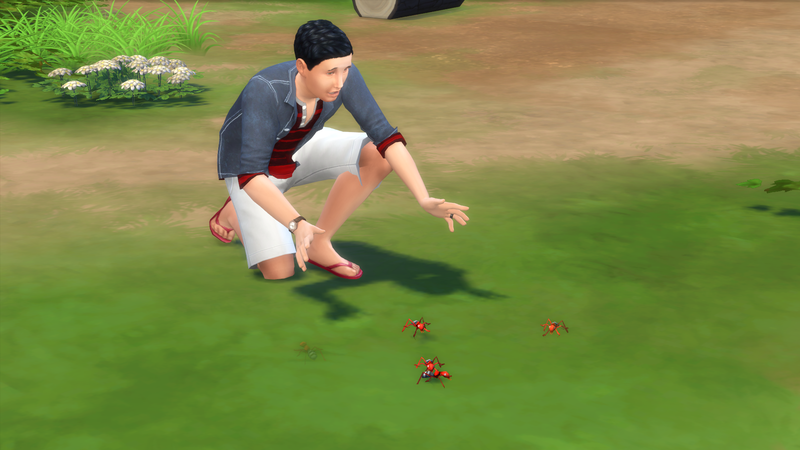 We’re close to finishing his aspiration! Woohoo! Uhhhhhh… Eliza? Why are you thinking about diapers? 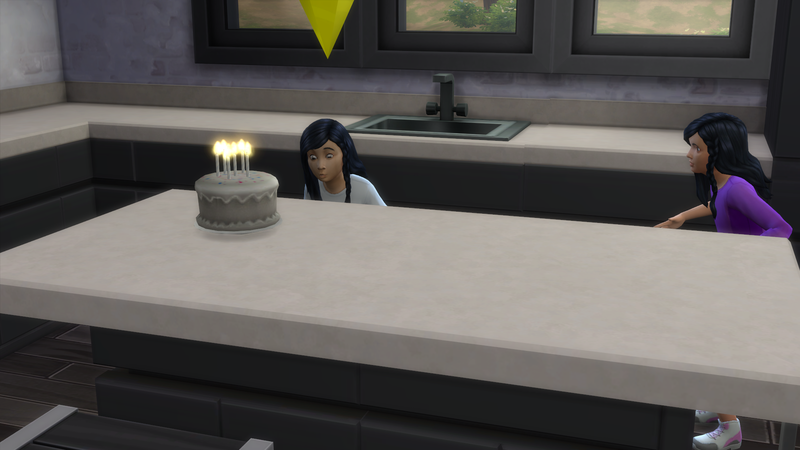 She’s been doing this a lot lately and I have NO idea why, but it’s weirding me out a little bit. 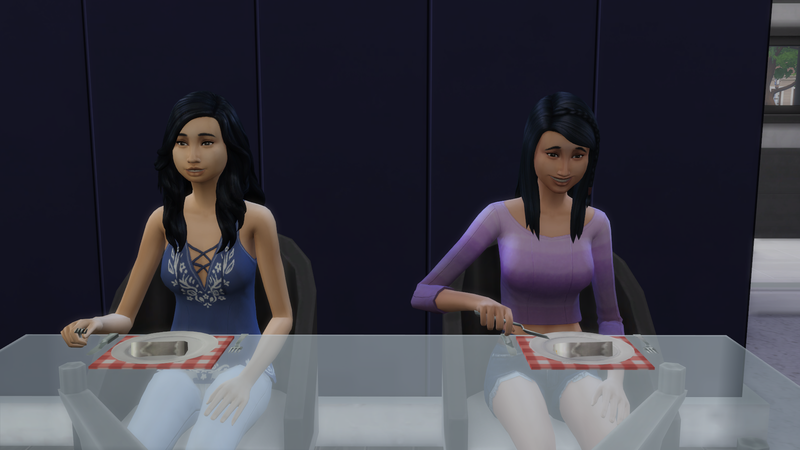 And here are the twins after their birthday and makeovers. Eliza is on the left. 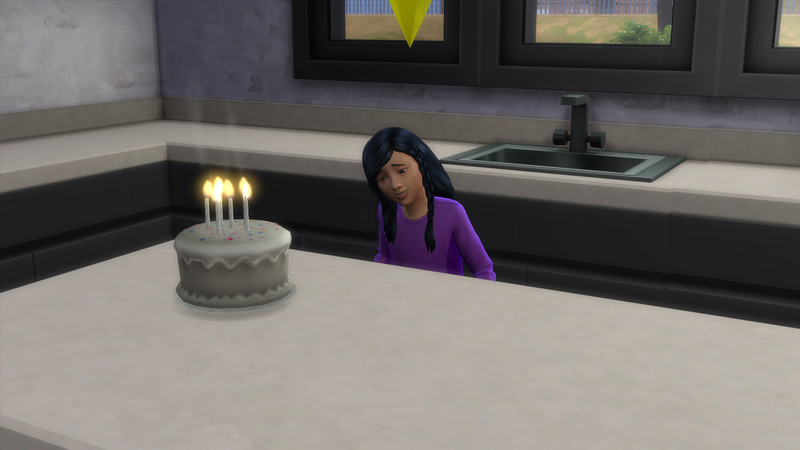 She gained the active trait and the aspiration of freelance botanist. 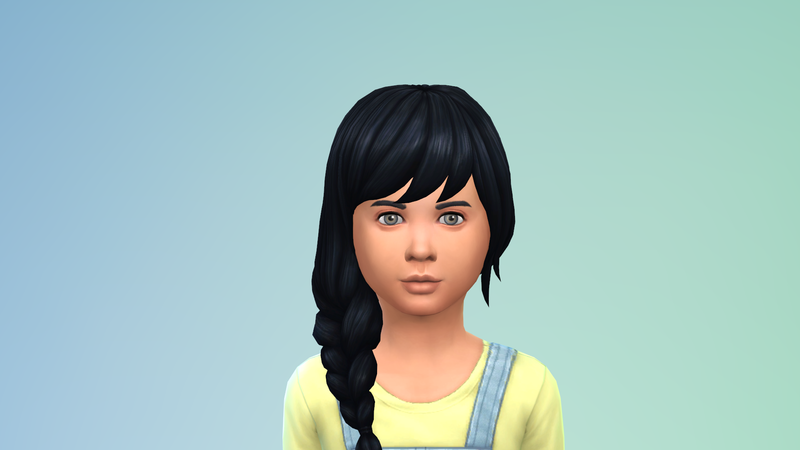 Her aspiration will probably change when she takes over the challenge (since I’m playing blind, I have no idea lol), but for now she’s gonna help out around the house with the garden we’ve got. 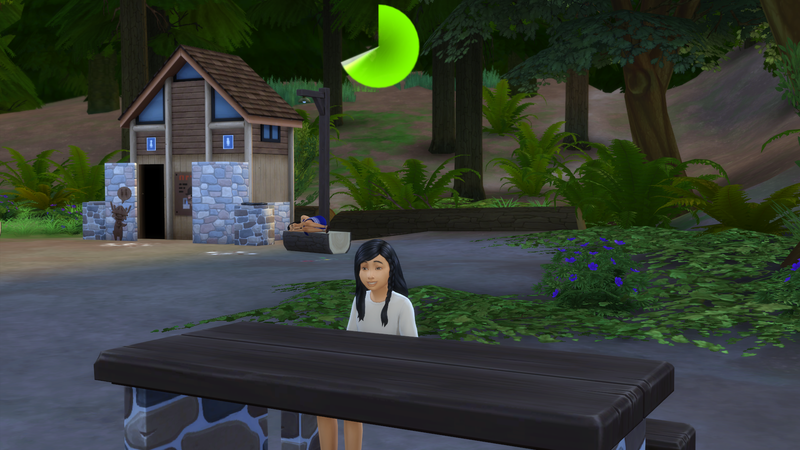 Olivia is on the right and she gained the bookworm trait along with the freelance botanist aspiration as well. lol, I was lazy in picking them out. And that’s it for this chapter! Join us next time for when we COMPLETE Elias’ aspiration!! Toodles! 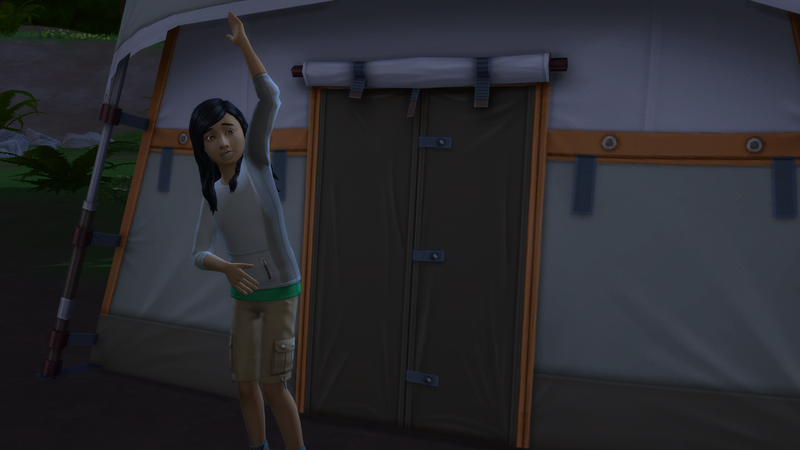 ← Chapter 2.5 – We’re Off On An Adventure! Things are moving along nicely and I love the house. 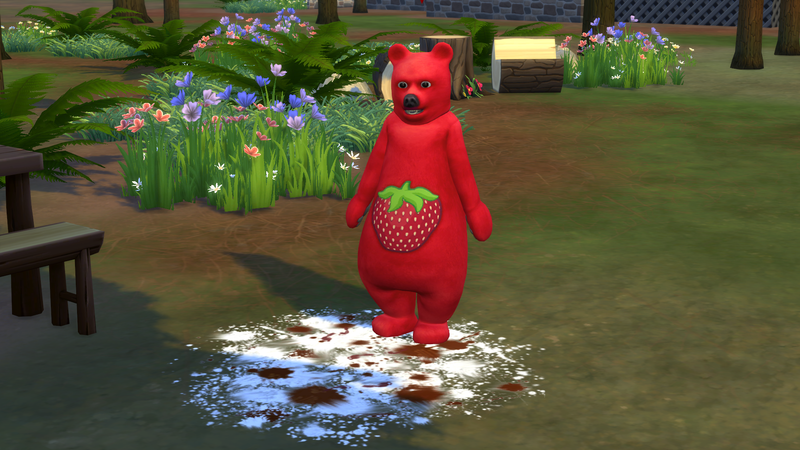 I’ve never seen the strawberry bear! Cute! Poor Saya does NOT like roughing it. Too fun!